The federal government in Canada has bought up $25 billion in residential mortgages to give Canada’s chartered banks more cash for loans, but the effort shouldn’t be considered a bailout similar to the U.S. government lifeline for Wall Street banks, the federal government and industry watchers say. “It’s a huge stretch to look at it as a bailout – it’s a helping hand,” said Brad Smith, a banking analyst at Blackmont Capital, a brokerage. Prime Minister Stephen Harper said the mortgage transfer is sensible and risk free for taxpayers since the government is buying mortgages it already insures through the Canada Mortgage and Housing Corp. “This is not a bailout of banks; this is a market transaction that will cost the government nothing,” Harper said. Here’s a hypothetical look at what you’d pay on a mortgage with both a 35 year and 40 year amortization period. Numbers have been determined using Filogix Expert, an industry standard point of sale system. According to REW of Greater Vancouver, major banks in Canada have changed mortgage offerings to bring its lending rules in line with regulatory changes set to take affect in October. TD bank said, effectively immediately, the maximum amortization period for new mortgages will be 35 years and will require a five per cent down payment. TD bank said it would continue to process those mortgages with a longer amortization period or a lower down payment that have already been approved. TD joins Bank of Montreal in changing its Canadian bank lending rules ahead of the change in regulations. Other Canadian banks are following the lead. Starting October 15th, 2008, Canadians will no longer be able to purchase a home with a government backed mortgage with a 40 year amortization and no down payment. Instead, Canadian mortgages will be limited to 35 years and the government will only insure 95 per cent of the value of the home, meaning home buyers will need to come up with at least a five per cent down payment. As well, borrowers must demonstrate that debt servicing costs are no more than 45 per cent of gross income and have a good credit rating. Government backed insurance is currently available on mortgages where the loan to value ratio is up to 100 per cent – in other words, the home buyer has borrowed all the money to buy a home and then gets insurance coverage on the whole amount. Home buyers, especially first time homebuyers, should take note that generous mortgage incentives in Canada bank will be ending this fall. On October 15, 2008, the federal Finance Department will cease guaranteeing 40 year amortization mortages and zero down payment mortgage loans in Canada. Some real estate markets observers expect to see a spike in home sales over the next two months as home buyers try to beat the deadline. Home buying in Canada real estate activity could rise leading up to the October 15 cut off, according to other mortgage professionals. The Canadia government made the changes to its mortgage guarantees to strengthen the real estate market in Canada, and to help guard against a US style housing bubble. Mortgage insurance was introduced in 1954 through the Canada Mortgage and Housing Corporation (CMHC) to help Canadians who hadn’t saved up enough money to quality for traditional mortgage loans from the banks. Currently, home buyers with less than 20 per cent down payment pay a premium for the insurance, which protects the bank lender in case of default. Three competitors of CMHC have now entered the Canadian mortgage insurance market, Genworth financial Canada, AIG United Guaranty Canada and the PMI Group Inc Canada. It is unclear whether the private insurers will continue to offer 40 year Canadian mortgage loans. While popular, 40 year mortgage loans are more expensive int eh long run than a conventional mortgage. However, because monthly mortgage costs are lower they do allow some home buyers to get into the real estate market for the first time. Hire the pros, read fine print and negotiate says HouseLeague Ryan D. for the Metro Newspaper. Does buying a previously owned home appeal to you about as much as purchasing a used pair of shoes? Then buying “presale” (direct from the property developer) may be the solution. While it may seem like a simple task, the rules of buying “presale real estate” differ greatly from your standard “resale” purchase. When buying something new you are essentially engaging in a game of real estate monopoly (without the fun coloured money) – your moves are dictated to you and you must follow the present rules or purchasing a Vancouver presale property. Developers’ contracts are written in their favour, a complete turn about on the standard purchase method. They set the price, the completion dates and most of the other terms of the contract. In this topsy-turvy scenarios, here are some tips to keep you out of trouble and ahead of the Vancouver presales property game. Firstly bring your own realtor. Every real estate developer will pay your realtor’s commission for you. It is always a good idea to have someone on your side. They can navigate through the presales property contract with you tot make sure all your needs are being met. Secondly, in a buyer’s market like we have now, you can sometimes even negotiate a reduction on the purchase price. It’s true. The real estate presales developer’s pricing is usually set in stone, but when they are sitting on an abundance of inventory that needs to be moved, you have that much sought after leverage. Thirdly, GST is paid on all new construction, including presales Vancouver property, but a portion of it is rebated back to you if your new home is your primary residence. Many presales real estate Vancouver developers will pay the rebated portion for you if you sign a waiver allowing the rebate to go to them. That is a new wardrobe (and maybe a different boardgame)! Finally, during the seven-day recision period in all “presale” contracts, where you can back out of the deal if need be, consult a lawyer. Who really understands all that legal jargon better? Just because it may not sound like any language you may have heard, does not mean you are not bound by that fine print in a Vancouver presale property contract. Make sure you understand it all. So, while the game may be stacked in Vancouver presales real estate developer’s favour, these few tips will ensure that when it comes time to make your move, you ar ready and able to see it through. And who knows, when all is said and done, you may even end up with some green back in your pocket. Ryan is a realtor for Sotheby’s International Realty Canada and hosts Novus TV’s Real Estate Minute program. Whether you are a homebuyer or investor, is this the right time to buy a new Vancouver home? The latest on the falling Vancouver real estate prices.. According to MetroNews Maria C, The average price of a home in Greater Vancouver has dropped eight per cent compared to last year, according to the B.C. Real Estate Association. The average price now of a Greater Vancouver home sits at $535,598 down from $582,354 last September. “Weaker consumer demand and a large number of greater Vancouver homes for sale are having an impact on home prices in the province,” said the association’s chief economist, Cameron Muir. With the economic crisis on the minds of many, people don’t seem to be spending as much, nor are they as willing to make major purchases compared to a year ago. Residential home sales in Greater Vancouver real estate market dropped a whopping 43.2 per cent this month compared to last year – that’s well above the provincial average of 30 per cent. According to MetroNews, Canadian Housing Starts rebounded in August, beating expectations, but some economists cautioned against reading too much into the number since it followed a weak reading for Canadian housing starts in July. Housing starts in Canada rose 13 per cent in August to a seasonally adjusted annualized rate of 211,000 units from 186,500 units in July, the Canada Mortgage and Housing Corp said. The bulk of the gain, which topped the consensus analysts’ expectation for 195,000 starts, was in Ontario real estate housing starts, where there was an 81 per cent jump. The government owned CMHC attributed the surge in multiple-unit starts in Canada which shot up 25.2 per cent to 114,700 units following a 20.2 per cent slide in July. But some real estate Canadian experts said since the bounce back in housing starts in Canada followed weakness, it doesn’t mean that Canadian housing activity is buoyant. REUTERS. REAL ESTATE UPDATE from the MetroNews Vancouver Monica M. Homes ales in Greater Vancouver real estate fell 42.9 per cent last month, according to a report released yesterday by the Real Estate Board of Greater Vancouver (REGBV). Home sales dropped by 1,585 units this September compared to 2,776 in September 2007. The president of the REBGV, Dave Watt, said the Greater Vancouver real estate market is simply adjusting itself. “Affordability played a role,” he said. “Prices rose to the highest levels in February and March and now they’ve declined by five per cent.” Watt also said the U.S. subprime mortgage crisis is affecting consumer confidence. New report says multi-million dollar Vancouver real estate properties may have passed peak prices. This according to the North Shore Outlook’s Jeff N for the Black Press. A new report predicts the prices of tony homes in West Vancouver real estate and across the Lower Mainland may sag from their stratospheric heights. The starting price point for upper end homes in Metro Vancouver real estate market has climbed to around $2 million, according to the RE/MAX market survey of ritzy real estate in Vancouver. On Vancouver’s west side, the starting price is closer to $4 million. The most expensive Canadian home sold so far in 2008 (through MLS listings) went for $11.5 million in Metro Vancouver, the report said. But home buyers will have to open their wallets wider yet to buy the priciest properties available in the metro Vancouver real estate market today. A Burnaby mansion is on the real estate market for $25 million and a “world class” country manor in Richmond real estate with its own bowling alley, tennis court and equestrian riding fields can be had for $24 million. Two more single detached houses in Kitsilano and West Vancouver’s Caufield area are on the West Vancouver real estate market for $19 million. Metro Vancouver property is also home to Canada’s priciest condo now for sale – for $14.9 million. If that sounds expensive, consider that it’s already been marked down from the original list price of $18 million. Nearly 400 high-end homes sold in Metro Vancouver real estate market in the first seven months of the year, up five per cent from the same period last year. “Affluent baby boomers, Generation X and Y, and an influx of international home buyers from Mainland China and Europe are behind the push for luxury real estate,” the report says. “Money mad in oil and gas sector in Alberta has also made its way into Vancouver’s residential housing market.” What do well-heeled home buyers want? Large lots with more privacy – often traditional character homes in exclusive neighbourhoods – with more square footage and either views or waterfront. The luxury Vancouver home threshold is lower - $1.2 million – in White Rock – South Surrey real estate, where the report says some would be buyers are waiting for a correction while sellers “are still trying to cash in at peak levels.” The report says 218 high-end Vancouver homes are listed now in that area. The luxury home market is usually the first place pressure cracks appear in a downturn, but RE/MAX executive vice-president Michael P. said the reverse has so far been true. However, the Wall Street financial meltdown has cooled the ardour of some buyers and Polzler said that “will give purchasers cause for concern in the immediate future.” The firms’ report notes some rich real estate investors are instead trolling U.S. housing markets to scoop West Coast properties at rock bottom prices. According to MetroNews, The increase in the price of a new Canadian house slowed in July for the sixth month in a row, mostly because of a softening market in western Canada real estate market. Statistics Canada says selling prices for new houses in Canada were up 2.7 per cent year over year in July slower than the 3.5 per cent June increase. Prices roses fastest in Regina real estate market, where the cost of a new house skyrocketed 29.6 per cent, though that was down from a 34 per cent April record increase. Meanwhile, buyers in Newfoundland and Labrador faced a fourth consecutive price increase in 24.3 per cent. By Torstar News Service. On The Market by Carly K for 24 Hours. Wayne’s World has nothing on Vancouver real estate agent Tom Everitt, who’s launched his own homemade show. Instead of his parents’ basement, a la Wayne and Garth, Everitt films his daily two to four minute web show, Vancouver Market Watch (www.think-tom.com) in his newly turned studio (to the tune of $25,000) garage. And instead of “babes,” he discusses another “hot” topic: Vancouver real estate. “In the stock market, you can go to the TSX and check out Google,” says Everitt, “but it’s very, very hard to figure out what’s going on in the real estate market.” Everitt shares insider knowledge as well as hot sheet statistics, daily reports in which Vancouver realtors are given an up-to-the-minute snapshot of Vancouver real estate market activity. For instance, Monday’s Vancouver Market Watch show dealt with open houses on the weekend. “There were 383 opens on the West Side… 202 opens on the East Side… 80 opens above $1.4 million.” What does that mean? There’s a lot of competition, says Everitt. Likewise, yesterday’s Vancouver Market Watch show shared the scoop that the day netted 100 new listings, 65 price reductions and only nine Vancouver home sales. Which Everitt interprets to mean “definitely a slow down in the Vancouver real estate market.” Other topics include negotiation skills and legalities of contracts. And like his zany SNL predecessors, Everitt of Vancouver Real Estate Market Watch tries to infuse some fun into the often stressful subject of shopping for or selling a home. Humorous pokes include “I’d like to move it… move it (the importance of pricing in today’s Vancouver real estate market) and a homestaging episode in which he digs himself out from behind a clutter of décor no-no’s such as ahigh school grad photos, trophies and decaying plants. While you won’t see any air guitar riffs or extreme close-ups on the Vancouver Market Watch show, Everitt does promise to answer the question on everyone’s mind: Will Vancouver’s real estate bubble ever burst? Yep, just as soon as he equips his new studio with a crystal ball. According to Ryan D. of HouseLeague written for MetroNews: With the U.S. economy in continuing decline, many are wondering if our American counterparts have enough economic sway on Canada to lead our housing market to the same fate. In a word, no. Let’s put it in perspective. The “subprime” mortgages offered in the U.S. were mortgages granted to people who would not normally qualify for such loans, primarily due to lower credit scores. As housing prices in the U.S. began to soar in 2005 and 2006, banks began supplying subprime loans, believing that the real estate market would continue to rise. In 2007, as the U.S. market softened and interest rates went up, refinancing these loans became increasingly difficult, with more and more people defaulting and going into foreclosure. As this happened, interest rates continued to climb, forcing homeowners who could barely afford their payments to foreclose on their homes. Mortgage insurance companies were unable to continue reimbursing banks, causing huge financial losses for many mortgage lenders. This inevitably led to the U.S. real estate market crash. It is important to note that while property values plummeted, it was due to a mortgage-lending crisis, not a real estate crisis. In Canada, mortgages are regulated by stricter guidelines with fewer lenders and much harsher credit checks. Financial institutions in Canada examine applicants’ total debt service ratio: the ratio between the applicant’s total debts for housing, car loans etc. versus their total income. Most lenders will not consider you for a loan if your total debt is more than 40 per cent of your income. It ensures that if interest rates rise, or other financial hurdles are encountered, homeowners will still be able to afford their property and will not lose their homes to foreclosure. The Bank of Canada is adding additional precautions by abolishing the “zero down” mortgage (in favour of a minimum of 5 per cent down) and will no longer allow mortgages to be amortized beyond 35 years. With low interest rates and a large selection of properties, it continues to be a great time to buy that dream house or condo. If you’re one of those who are kicking themselves for not selling their condo or townhouse a year ago, take a deep breath. Then take a good look around according to the UrbanDweller Carlyn Y. for the Metro Newspaper. You’ll notice there’s a record glut of “units” all looking for home buyers at the moment, and many of those home owners don’t have a chance of getting close to their asking price. You might want to view this as a sign. This could be a good time to hang tight and work on making the most of your home instead of worrying about what might have beeen. If you are determined to sell, it’s clear that the days of simply straightening up the joint are over. The slightest imperfection – a cracked bathroom mirror, a broken bi-fold door – could be a deal-breaker. And even if everything is in good running order, landing a home buyer may come down to something as elusive as a feeling. You know the feeling; its’ that I could live here non quantifiable that hits us every once in a while. It’s less likely to be the result of stagin tricks, like the bubble bath, the Sunday New York Times spread out on the bed, the jazz filtering in the background, the aroma of resh baked cookies or coffee. That good feeling is more likely to come from the same things that have you bent on selling; space to entertain, in suite storage, more natural light, a kitchen two can work in, or a usable balcony. You can’t grow more square footage for these perks, but you can clear the decks. Consider that when apartment hunters come to an open house, they’re already slightly disoriented from the walk through the unfamiliar common areas. The last thing they need upon entering your unit are more visual barriers like side tables, bookcases and shoeracks. Those tables and racks might be useful to you, but they’re impediments to viewers, so plan accordingly. Also be aware that your Tuscany or urban street décor style may be off putting to others, so dial the décor down to clean and versatile. Stay away from fussy tile patterns or fad wallpaper. They may speak to you, but they may scream at others. If you’re unsure where to begin, bring in an impartial third party to help identify the problem areas. It’s amazing how blind we become to the detractions of our own homes, like popcorn ceilngs or shabby lino in the bathroom. Check out more from Carlyn at Home Reworks at www.homereworks.com. Prices predicted to drop another five per sent according to Black Press Jeff N for the North Shore Outlook. A slide in Lower Mainland real estate prices that began in March is likely only half way to a bottom that will likely come sometime next year, one economist predicts. Helmut Pastrick of Central 1 Credit Union (formerly Credit Union Central of B.C.) says Greater Vancouver home prices are down roughly four to five per cent from their peak earlier this year. “I’m saying a 10 per cent decline from top to bottom, from peak to trough,” he said. “It could be more. I’m not ruling that out at this point.” Pastrick said he therefore expects a similar drop of at least five per cent on top of what has occurred so far before prices stabilize some time in 2009. “I tink it will continue for another six months and potentially 12 months,” he said of the declines. Within the Greater Vancouver zone (Metro Vancouver excluding North Delta, Surrey, White Rock and Langley), the sale prices of detached houses dropped two per cent in August to $738,000. Townhouses and duplexes fell 2.2 per cent to $463,400 while condos slid 1.9 per cent to $374,400 for a benchmark property. The numbers show Greater Vancouver home prices in most of the region are no longer at levels double what they were five years ago. Detached houses in the Greater Vancouver real estate market are up 84 per cent over five years in Greater Vancouver, and 70 per cent in the valley. Only condos in Surrey, Port Coquitlam, Richmond, East Vancouver and Abbotsford are significantly more than double their value of August 2003 (up 110 to 135 per cent). While home prices changes vary from month to month and city to city, Pastrick says data shows this year’s drop is a broad based decline. “It’s market-wide,” he said. “It’s hitting detached homes, townhouses, apartments all roughly the same.” Pastrick says it’s a different type of Vancouver real estate downturn form what’s been seen before. Past triggers – like dramatic spikes in mortgage interest rates or high unemployment –aren’t present now. Instead he attributes the drop to prices that have risen too high – beyond the affordability issues for first time buyers – coupled with consumer angst about everything from high oil prices to the U.S. economy and the real estate market meltdown there. “These kinds of things affect consumer confidence,” Pastrick said. Falling Greater Vancouver home prices will deter potential sellers he said, who will opt to postpone selling unless they’re forced to sell. Real estate investors owners sitting on empty units will likely begin renting more of them, he added. The price decline will translate into less new home construction in Greater Vancouver, Pastrick predicts, and that drop in activity will shake out in fewer construction jobs and less money buoying the Metro Vancouver economy. He says the signs of an mpending drop were present a year ago when realtors first began to report declining sales in the Greater Vancouver real estate market. “That always raises a red flag that housing prices will be responding,” he said. Going back even further, he added, sales began to plateau in 2005, an early signal the hot real estate market in Vancouver would not be climbing indefinitely. Home sales in August were down 53 per cent in Greater Vancouver and 48 per cent in the Fraser Valley region from a year earlier. Fraser Valley Real Estate Board president Kelvin Neufeld said potential home buyers “took a wait and see approach this summer.” When the Vancouver real estate market was soaring, home buyers often had to make snap decisions on properties and could still end up paying more than asking price. Now home buyers are in the driver’s seat. “Selection is at record levels,” Neufeld said. “interest rates remain competitive while prices have moderated.” August 2008, one year % change: North Vancouver detached house - $868,200 (+ 2.6%) and West Vancouver detached house $1,512,900 (+7.2%) Benchmark or median sales prices from Greater Vancouver and Fraser Valley real estate boards. Market to the Gay Friendly Real Estate Community - One of the fastest growing property market today. An online resource for gay friendly property and gay real estate development communities that are popping up in Canada and the United States. www.gayrealestatedirectory.com. We need knowledgeable, professional gay or gay friendly real estate agents, brokers, mortgage lenders, home appraisers, insurance agents, and gay home inspectors who would look forward to serving our gay real estate community. Why is the gay friendly property community expanding? One of today’s fastest growing home owner market segments is our gay family communities. They are highly motivated, successful and very influential members of our American society. Gay and lesbian individuals and couples have the means and the need to secure loans and purchase homes in some of the wealthiest gay friendly real estate communities. They are searching for likeminded as well as opened minded business professionals to help them achieve their life goals. We believe that with the recent court rulings, the legalization of gay marriages in some states, that our new gay communities will begin flourish even more. This is creating a large demand for more service professionals to help service our gay brothers and sisters in fulfilling their American dream of new gay friendly real estate communities and gay property developments. If you are the type of service professional that can embrace and accept their needs, wants, and lifestyle, we invite you to become a working part of our gay property community. We need representation in all of the major cities to service our real estate gay communities. Our future new gay homeowners would like to view your website listings and possibly find their special dream home. They would also like to secure the gay real estate community services of all the professionals who are a part of the process in securing and protecting their dream home in a gay friendly community property development. Our real estate and property oriented gay community website has already moved up to the first or second pages of Yahoo, Google, Lycos Pro, AOL, & Netscape, just to name a few of the top search engines. You will find us there under terms like Gay Real Estate, Gay Real Estate Agents, Gay Real Estate Listings, Gay Real Estate Directory, and many other search word phrases. As you can see, we work very hard to provide the real estate gay friendly Community with a unique gateway access to some of the Top Real Estate Professionals and Brokers in the country. We want them to feel comfortable that our gay friendly real estate professionals understand their life style and will be focused on their specific needs and goals in finding their next dream home in a gay friendly community and property development. We also believe we have a very fair and competitive pricing structure. We don’t request an exorbitant premium to be listed on our gay friendly real estate directory, nor do we demand a portion of your commissions, like some other gay sites do. Please take a moment and check out one of our city ads to get an idea how your ad might look. Check out the address below. http://www.gayrealestatedirectory.com/california/san%20francisco.htm. Submitting your site to online directories is an easy and a efficient way to help drive targeted consumers to your gay friendly real estate oriented website. People will find you on our internet site and be given a path to go directly to your real estate property community website. This not only brings visitors to your website, but it also provides a direct path for search engine "spiders" to find your website and index your pages within their results. This also gives you valuable, one way, inbound links which will help your page rank on all search engines. We do all of this for you so you can focus on closing your gay friendly real estate transactions and taking care of your client base. For an annual fee of $80.00, (US Funds) you can have two advertising positions on our property gay friendly real estate community site (more if desired) and all the advertising exposure that goes with it. We not only include your business address, e-mails, telephone and cell numbers; we also create a direct path to the home page of your personal web site. We include a personal photograph if you so desire and you may write a small paragraph about the unique services that you will be offering to the gay friendly real estate community. In case you don't have a web site, this will give you internet exposure on the World Wide Web. You can enter the home page of our site at http://www.gayrealestatedirectory.com/. To share your professional services with our visitors, all you need to do is to go to this address http://www.gayrealestatedirectory.com/register.htm and fill out the required form. Once you have completed the form, hit submit at the bottom of the page which will take you to Link Point Central Secures Billing processing service, there you may complete your transaction. Gay Real Estate Directory, we take PRIDE in servicing the Gay community. A good real estate professional will help you buy or sell a property, regardless of real estate market conditions. A great one exploits those conditions, whatever they are, when you’re looking for the right home or the best home buyer for yours. This is a great article published in the North Shore Magazine on Austin Gangur who share the secrets of his real estate marketing powers. Written by Peter H.
The ability to power a changing real estate North Shore market is making Austin Gangur a star in the North Shore real estate world, and he’s willing to share some of his secrets. “Right now,” he advises, “There’s a lot of inventory. A year or two ago, you could price a home aggressively, expecting to bring in multiple offers and sell over the listing price. It may take off again, but with fewer new listings attracting multiple offers, exact pricing on North Shore homes is becoming more important.” A short time ago, Gangur listed a North Shore condo for $519,000. It produced six unconditional offers and sold for $550,000. He continues to set the stage with an energetic real estate marketing program that gets homes exposed to the North Shore buying public. EXPOSURE. “A home only sells to one buyer, and solid marketing makes it more certain that the best buyer – the one who is going to fall in love with your home and be ready to pay your price – is aware of the listing and has a good chance to view it,” he says. “I ask clients to let me do an open house ont eh first weekend of a listing, and to have it from noon to 4 pm on both Saturday and Sunday. If someone’s interested in that kind of North Shore property, and they can’t get to an open house that’s just Saturday or just Sunday, and just from 2 to 4, I want to make sure I have the home open when they can. That person might be the right buyer.” People who are looking for a North Shore home want to search efficiently, he notes. “They are helped by things like a website and listings that are professional and easy to understand. They only take a few seconds for a first look, so they’re more likely to be interested whtn a home is visually appealing.” Gangur advertises all his listings on www.austingangur.com, www.realtylink.org, www.mls.ca, www.sutton.com and www.mslink.mlxchange.com. REMEMBERED. Some North Shore sales people take pictures themselves. Gangur works with professional photographer Mike Chatwin. “I get him to shoot all the properties I list, and he edits them on his Mac so they’re absolutely striking.” With North Shore home buyers looking at a lot of homes on the internet, Chatwin’s photography makes Gangur’s listings stand out. Chatwin also designs the colour flyers Gangur produces fro each listed property. “I deliver the flyers throughout the neighbourhood,and that helps create a buzz. Potential buyers can also take my flyer with them after viewing the property – that’s much more powerful than a generic sheet of statistics. MADE EASY. Once there are interested North Shore buyers, he says, the key is to make a North Shore property easy to buy. Gangur hires a professional to measure all aspects of a property. “For condos, strata plans should have proper measurements, but sometimes they don’t,” he says. “You can list dimensions and just say “it’s approximate,” but getting everything re-measured precisely means there’s one less thing for a North Shore home buyer to worry about. “When someone is making a major North Shore real estate investment in a property, you want to be able to tell them about it exactly and with confidence. It shows I’m doing my job and that creates trust. Disclosure is everything.” He also makes it easier to buy by inviting mortgage broker Jessi Johnson to attend his open houses. “Jessi doesn’t push his services, but he’s there when a potential North shore home buyer needs answers to crucial financial questions that can make the difference on a sale.” Gangur’s energy also makes it easy for home buyers on the North Shore reale state market and he’s been featured in MacLean’s Magazine, the Vancouver Sun, Vancouver radio shows and on TV for camping out in new condo line-ups on behalf of clients. He helps by guiding North shore home buyers through their pre-qualification process for a mortgage, notifying them of new listings as they hit the market and also property inspections on potential purchases. AT HOME. Focusing his energy on the North Shore real estate market means more than cultivating an image, Austin Gangur finds. “You have to be yourself. This business is all about relationships, and people who are smart enough to smell a fake. If you’ve got the understanding and knowledge, a marketing program that’s proven, and a good track record, that’s what’s important.” Born and raised in North Vancouver, Gangur attended Windsor Secondary. Before getting into North Shore real estate, he studied at Capilano College and was an entertainer as well as waiting tables at Red Robin on Marine Drive. He still produces music and writes songs in his own studio, and has been an active performer all of his life – sometimes singing the anthem at B.C. Lions and other pro sports games. CONNECTED. Gangur is backed by Sutton Group – West Coast Realty managers Roasrio Setticasi, Gerry Goldman and Croft Tracey. “I’ve been known to call them anytime on the 24 hour clock with all sorts of questions.” Laughs Gangur. “their guidance has always been a bright light on the horizon.” Gangur took the UBC real estate program and became fully licensed. His first real estate North Shore property deal cam eone night while he was serving customers at Red Robin. ORGANIZED. Gangur finds out about the interests of those at open houses who don’t buy, keeps a database with that information, and contacts them directly with new listings that might suit them better. After Gangur sold three townhomes in their complex Allen Zhu, a professor of Business at Capilano University, and his wife Lisa Zhu called to ask hime not notify them of new listings in a complex that interested them in the North shore real estate market. When the right one hit the North Shore real estate market, he had the Zhus in there later that day. The Zhu family is now settled in their new North Shore home, and Gangur sold their previous McCartney Lane home as well. Gangur has sold six North Shore townhomes in the Northlands area alone over the past year and just listed his fifth at McCartney Lane. SUCCESSFUL. Working with Sutton Group – West Coast Realty, Gangur is excited about being a top producer in an office that’s a leader on the North Shore. He won the Sutton Canada Presidents Award for 2007, has already sold more property this year and is in the running for the even more prestigious Platinum Award from Sutton Canada. “It’s great to work with these professionals. They’re good at what they do, with more experienced Realtors sharing their wisdom and those who are newer to the industry bringing their liveliness, technical understanding and willingness to learn. The cooperation really helps, like showing a home for someone whose schedule is too tight.” Gangur share his success with clients, by giving each North Shore home buyer or seller a vacation package. TEAMWORK. Gangur credits the real estate North Shore team he works with including Odenza Marketing Group (www.odenza.com) the Burnaby based vacation incentive provider that organizes the high quality rewards for his clients. “We are serious about results, but fun is a part of it,” Gangur says, pointing to photography for this article, including the cover, done by Mike Chatwin of ShotbyChatty. “Seymour Creek Golf Center lent us some turf seen on the cover, Monique Rock, a fellow Realtor at Sutton helped with hair styling and it was great.” With that support, Gangur marketing savvy, hometown knowledge and his energy, Austin Gangur is powering towards new records for real estate sales on the North Shore. This communication is not meant to cause or induce breach of any existing agency agreement. Austin Gangur of Sutton Group – West Coast Realty at 604.710.2671 or www.austingangur.com. Mike Chatwin, Shot by Chatty Photography at 778.839.6735 or www.shotbychatty.ca and Jessi Johnson, AMP, Global Mortgage at 604.716.6474 or www.firsthomeinfo.ca or www.jessijohnson.com. After 15 years as one of the Lower Mainland’s top realtors, Faith Wilson has gained an outstanding level of insight into a real estate market that is becoming increasingly complex. “There has always been a lot of hype in the media as to what’s happening in the market,” explains Faith Wilson. “But what we need to keep in mind are the trends occurring within each neighbourhood.” A third generation Vancouverite, Faith Wilson has cultivated an exceptional understanding of the city, especially when it comes to west side Vancouver neighbourhoods like Kitsilano, Dunbar and Shaughnessy as examples. Faith Wilson and her team of friendly and experienced professionals are able to help clients through every step of the buying and selling process. “Sellers understand that the real estate market has changed,” she says. “Home buyers need to recognize that if they are realistic, mutually beneficial deals are going to happen.” With over 40 properties ranging from $300,000 to $6.5 million, Faith Wilson is currently managing some of the finest Vancouver real estate opportunities in the city. Lcoated in the heart of Kitsilano, just a short walk from the beach and the best of 4th Avenue, is 2451-2459 West 5th Avenue, a beautiful heritage conversion and one of the few new townhom projects available in the area. Blending classid Kits architecture with ultra modern design, each of these 4 two bedroom townhomes embraces an attention to detail that speaks to the history of the classis Vancouver real estate style. Built by Shella Bay Homes with a 2.5.10 year warranty and designed by Paul Phillips, EDG, there are now only two homes available starting from $799,000. And, there is an exciting new promotion: buy a townhome and get a brand new 2009 Honda Fit! Another outstanding property being offered by Faith Wilson is 1498 Laurier, a spectacular turn of the century Shaughnessy mansion located on a pristine 20,000 square foot parcel of land. From the sunny breakfast room to the formal living room with its grand, coffered ceilings, rich oak flooring runs throughout this completely renovated west side classic. Very exclusive and highly sought after, this exceptional home is priced at $4,900,000. For more information on a variety of Vancouver properties being offeredy by Faith Wilson and her team of real estate experts, visit www.faithwilson.com. This is an advertisement in Western Living. According to her other ad: You’ve put your heart and sould into making your house a home. Now put your trust in Faith. Faith Wilson has lived in Vancouver all her life. And, with over 15 years of successful real estate experience she understands the ups and downs of the Vancouver real estate market. Faith Wilson is a dedicated real estate professional who has built her reputation and team on hard work and satisfied clients. Recently, she has risen beyond the top 1% to be in the top 0.2% of REALTORS in Greater Vancouver. Even in this challenging market, Faith Wilson and her team have sold over 70 homes so far this year. Thi sis not a time for novice agents. You need a skilled professional to guide you through the current Vancouver reale state market. Now more than ever, you’ve got to have Faith because Faith moves houses. According to the Vancouver Sun and MetroNews Vancouver by Maria C. Credit Crunch. The average price of a home in Greater Vancouver is expected to drop more than $100,000 by 2010, according to an economic analysis by Central 1 Credit Union released yesterday. The report suggests that Greater Vancouver homes in the area will cost an average of $460,000 compared to the average going rate of $570,795 for a home last year. The roughly 18 per cent devaluation over the next two years is being blamed on the world wide credit crisis. “The downturn is widespread and affects most real estate markets and most housing types,” Centrals’ chief economist Helmut told Metro. “The markets are weak and prices are heading lower fo the next several months.” The forecast takes into account the higher demand for homes expected ahead of the 2010 Olympic Games in Vancouver. “For the year as a whole, I do expect that market conditions will imrpove during the course of the year 2010 and even potentially later in 2009,” he added. “But the year-over-year will still be negative.” Provincially, the study anticipates median housing prices will fall 13 per cent in 2009 to $310,000 compared to March 2008 rates. According to Metro News: Economy – Canadian average home prices have fallen for the second straight month in a row, raising concerns by economists that the Canadian housing market may have been caught in the undertow of a U.S. based recession. Home prices nationally fell by a significant 3.6 per cent to $327,020, from year ago levels in July, according to figures released by the Canadian Real Estate Association yesterday. In June, prices fell by 0.4 per cent, the first time decrease in nearly a decade. “We had a small drop the month before, but this looks like the real thing. We hope it’s not the beginning of an accelerating trend,” said TD Securities Economics Strategist Millan Mulraine. The bulk of the declines were in the western provinces, with cities such as Calgary down by 7.8 per cent and Edmonton by 5.3 per cent. The previously unassailable Vancouver real estate market saw a one per cent drop, all helping to bring the national average down. A drop in prices is typically preceded by a fall in sales. In this case, sales volume in cities such as Vancouver were down by a mammoth 44 per cent and Calgary by 13 per cent. Media reports from the United States routinely lists a litany of horrors about the number of foreclosures. According to the August 4 New York Times report, 8.41 per cent of subprime-mortgage loans from 2005 were in arrears by 90 days or more or in foreclosure in the month of June. Of subprime-mortgage loans from 2007, 16.6 per cent were delinquent, according to the report. This is creating huge problems for US real estate lenders, who have to put properties in foreclosure and then find a buyer in a property market that is already glutted with distress sales. Fortunately, in B.C. there haven’t been nearly as many foreclosures, which are loegal processes in court to extinguish all rights, title, and interest in an owner’s property so that it can be sold to pay a lien against it. According to the Canadian Bankers Association, just 0.15 per cent of B.C. residential mortgages were in arrears in April, the latest month for which figures are available. This is quite low when compared with other months dating back to 1990. The percentage of B.C. mortgages in arrears peaked in May 1999 at 0.66 per cent – more than four times the most recent figure. Vancouver real-estate educator and foreclosure researcher Kap Hiroti told the Georgia Straight in a phone interview that he expects the number of B.C. foreclosures in real estate to increase – but only because the numbers are so low. He noted that some high-risk borrowers who’ve previously relied on alternative financing companies are finding themselves in trouble because those lenders have abandoned the real estate market. “What that means is that you’ve got people who’ve got a mortgage one or two years ago,” Hiroti said. “They’re coming up for renewal, and that company cannot renew because they pulled out of the real estate market. Usually, they’re very highly leveraged loans.” Those cases, however, are the exception to the current B.C. real estate market norm here. Hiroti pointed out another difference between the U.S. and Canada when it comes to B.C. foreclosure properties: south of the border, information is readily available. In Canada, it’s much more difficult to find data on foreclosure properties that are about to enter foreclosure proceedings. ForeclosureList.ca a Web site owned by Hiroti, does the legwork in digging up information on B.C. foreclosures. He explained that a foreclosure typically beings when a bank lender issues a demand letter to a property owner seeking repayment of a debt. If the borrower doesn’t respond appropriately, the next step is for the bank lender to file a legal document called a petition to the B.C. Supreme Court. The foreclosure petition lays out the particulars, and normally asks for a court order quashing the owner’s rights, title and interest in a B.C. property. At this point, the owner of the property has a chance to file a response, which sets the legal wheels in motion. Prior to judicial ruldings, the home owner still has control over the property and can usually sell it without obtaining permission from the lender. According to MetroNews, Vancouver’s housing market is slowing with sales down by 54 per cent from the same month a year ago. According to the Greater Vancouver Real Estate Board, 1568 units were sold in the region this August compared to 3,348 units the previous year. Sabine Boersch was going to sell her condo in Burnaby, but decided to rent it out after seeing the signs. “We have four units in our complex and five across the street that have been for sale since spring,” she said. Boersch said the fact that neighbours rented their apartment after just two showings made her confident it wouldn’t be an issue. According to New Canada and republished in the West Coast Homes and Design Magazine by the Vancouver Sun, the girl next-door is more likely to own that home, as research shows women are anticipated to keep driving the Vancouver real estate market. To better understand emerging demographics in the Vancouver real estate market, Royal LePage has commissioned research on various home buyer segments. A recent Canada nationwide consumer poll examined the growing trend of female homebuyers in the Canada real estate market. The Royal LePage Female Buyers Report found that just over one third (37 per cent) of single never before married women own their own home and that another 28 per cent plan to purchase their next home in the next three years. A regional Vancouver real estate market analysis also showed a surge in female home buyers over the past five to ten years across the country. “Today, women are driven by independence and a growing desire to set up their own place. They are more real estate savvy than in the past and they are financially stable,” said Lisa da Rocha, vice president of Marketing and sales for Royal LePage Real Estate Services. “an active and healthy real estate market with affordable interest rates and properties targeted specifically to womens’ needs are also in their favour,” added da Rocha. Related industries have also identified women as an emerging influential group and are empowering and educating them through specialty stores and tools designed specifically for female homeowners. As the number of Vancouver single female home buyers continues to show significant year to year growth, women are anticipated to keep driving the Vancouver real estate market. 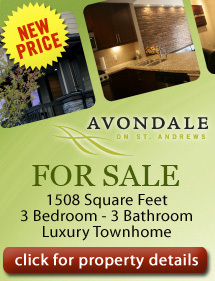 More on trends in your neighbourhood is available online at www.royallepage.ca. The federal government is raking in more money than it ever intended from the GST on new home sales, study shows. Ottawa takes in about $2 billion a year in GST on new Canadian home construction. The GST on the average priced new home in Canada is fast approaching $20,000 almost double what it was in 1991. New home prices higher than $450,000 were not elgible for a rebate. Resale homes are exempt from the GST. The Greater Vancouver Home Builders’ Association notes tha the vast majority of local new home buyers have paid more for the GST than other Canadians for many years. According to Real Estate Weekly of Greater Vancouver: The total value of building permits increased for the second straight month in May, despite a decline in the overall residential Vancouver building sector. Contractors in the Vancouver real estate building industry took out $6.6 billion in permits in May, up 1.1 per cent from April and the highest value for permits since October 2007. The total was 6.7 per cent above the monthly average for 2007 and it marked the first back to back increase in construction intentions since November 2006. Statistics Canada reports municipalities issued $2.9 billion in non-residential permits in greater Vancouver real estate building, up 12.8 per cent. Residential intentions fell 6.6 per cent to $3.7 billion in May, the result of a considerable decrease in the value of multi-family permits. The value of Greater Vancouver real estate building permits in the residential sector has been on a downward trend since September 2007. Higher property listings and easing Vancouver home prices have put buyers back in control of the MetroVancouver housing market. The Real Estate Board of Greater Vancouver (REBGV) reports that housing sales declined 42.9 per cent in June to 2,425 from the 4,244 sales recorded in June 2007 according to REW magazine. New listings, meanwhile, increased 18.3 per cent to 6,546 compared to June 2007, when 5,533 new units were listed. For home buyers in Vancouver’s real estate market, this may represent a great opportunity to search out that dream house or condominium which would have been hard to find just months ago. “We are beginning to see more price reductions in properties listed on the market today,” said REBGV president, Dave Watt, though he noted that prices are generally still higher than a year ago. “Home prices at a competitive level continue to sell quickly, but it is important for people to accurately identified their home’s value when putting it on the market.” Sales of Vancouver detached properties in June declined 43.4 per cent to 918 from the 1,623 units sold during the same period in 2007. The benchmark price, as calculated by the Board’s housing price index for Vancouver real estate for single detached houses rose 7 per cent from June 2007 to $765,654. 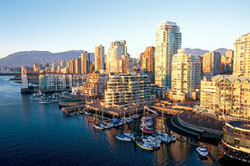 Sales of Vancouver condominium declined 42.7 per cent last month to 1,057 compared to 1,846 sales in June 2007. The benchmark price of a Vancouver apartment condo increased 7.8 per cent from June 2007 to $388,722. Attached Vancouver property sales in June 2008 decreased 41.9 per cent to 450, compared with the 775 sales in June 2007. The Vancouver benchmark price of a attached unit increased 7.6 per cent between June 2007 and 2008, to $476,585. Ask your local Vancouver Realtor for specific market details. According to the Real Estate Weekly newspaper, the change is moderate, but Vancouver housing price reductions of all types of residential property are now being seen for the first time in nearly a decade, reports the Real Estate Board of Greater Vancouver. The overall benchmark price in Greater Vancouver housing real estate market dipped 2.1 per cent since the end of May 2008, to $556,605 as of July, the Real estate Board of Greater Vancouver said. “We’re seeing price reductions on properties listed on the real estate Vancovuer housing market, which is having a leveling impact on housing price increase,” explained Real Estate Board president Dave Watt. Watt noted that there has been also been a decline in the total active listings on the real estate Vancouver housing market “Which is a welcome departure from recent trends.” The Vancouver housing price reductions reflect a general softening of the housing market. Total sales through MLS were down 43.9 per cent in July to 2,174 units, compared to July of 2008. Still, Greater Vancouver housing and real estate values reamin the highest in Canada. As of July, the benchmark price for a Vancouver detached house was $753,165, while a typical townhome sold for $473,953, and the benchmark price for a condominium apartment was $381,687. On the West Side of Vancouver housing real estate, the average detached house now sells for $1.3 million which is up 5.3 per cent from a year ago. East Vancouver real estate housing has the lowest priced condominiums, on average, in the city with a benchmark price of $326,324, up 7.2 per cent from a year earlier. On the West Side of Vancouver real estate, the benchmark price for a condo apartment is now $482,080, which is up a modest 3.5 per cent from last year. According to REW Newspaper: The Vancouver residential and non-residential building sector both dropped as the total value of building permits in June fell 5.3 per cent from May to $6.3 billion, according to Stats Canada. The decline hit most provinces and was 5.5 per cent in constant dollars. The value of Vancouver housing building permits fell 4.4 per cent in the residential real estate sector to $3.6 billion driven by lower values in multi-family permits in all provinces except Saskatchewan. The value of building permits dropped 6.6 per cent to $2.8 billion in the non residential sector due to declines in commercial and industrial intentions. Municipalities issues $1.3 billion worth of housing permits for multi-family real estate developments in June, down 13.8 per cent, with most of the declines occurring in Ontario and Alberta. Single family housing permits edged up 1.8 per cent to $2.3 billiong, StatsCan reports. Greater Vancouver Realtors and their companies donated more than $1.2 million to 60 local charitable organizations last year, according tot a recent examination. This revelation is the result of the Real Estate Board of Greater Vancouver (REGBV) efforts to aggregate the annual monetary contributions its members give the charity each year. This is the first time a real estate board in the country has embarked on such a program said REGBV president, Dave Watt. “We know this figure likely only touches the surface, since many Realtors wanted their giving practices to remain quietly low key and anonymous,” Watt says. “As well, our members give a tremendous amount of time volunteering in their communities, doing everything rom coordinating the annual Realtor’s Care Blanket drive to coaching kids’ sports. In a recent recycling effort, Greater Vancouver Realtors recently donated over 2,000 used electronics items to the Electronic Recycling Association (ERA), a non-profit organization that collects computers and electronics and recylces or refurbishes them for charities and community groups. All of the items received were given to the ERA and will be recycle for local schools, charities, non profit groups, libraries, elderly homes and other Greater Vancouver community organizations. “this event garnered an incredible response. Nearly 400 Vancouver realtors made drop-offs during the five days we offered the service,” said Dave Watt, president of the Real Estate Board of Greater Vancouver. Hard-drives, printers, and monitors wer the three most collected items, followed by mobile phones, VCRs and old stereo equipment. Four trips were a full-sized moving truck were required to pick-up all the accumulated items. Environment Canada estimates that computers phones, AV equipment and small household appliances account for more than 140,000 tonnes of waste in Canadian landfills each year. According to REW Newspaper, Vancouver Realtor Peter Remillong has been elected president of the Real Estate Institute of British Columbia’s board of governors for the 2008-2010 term. Remillong is a licensed Realtor and a director with the Real estate Board of Greater Vancouver. Other newly elected officers of the Real Estate Institute of British Columbia board include: vice president Peter Bretherton (BC Assessment), secretary/treasurer Don Ellis, and past president Scott Ullrich. New to the board of governors are Bonnie Knight with BC Assessment and Richard Wood of the Fraser Valey Real Estate Board. Both will represent the Fraser Valley District. The mission fo the REIBC or Real Estate Institute of British Columbia is to advance the highest standards in education , knowledge, professional development and business practises in all sectors of the Vancouver real estate industry. Professional members are accredited by the RI designation which recognizes their experience education and commitment to professional and leadership development in the real estate industry. For more information about the Real estate Institute of British Columbia or REIBC, and its members, visit the website www.reibc.org. New housing prices increased at their slowest pace in more than six years, with Vancouver’s year-over-year prices up only about half the rate of the national increase according to Metro Vancouver’s Andrea W. According to Statistics Canada report released yesterday, national contractors’ selling prices rose 3.5 per cent between June 2007 and June 2008, compared with the 4.1 per cent year-over-year real estate increase in May. Vancouver was up only 1.8 per cent. Neil Killips, economist for Stats Canada, attributed the slowing to a softening Vancouver real estate housing market. “We try to ask the builders why they increase or decrease their prices and they’ve been saying that there’s an increase in competition and the real estate Vancouver property market in general is slowing down,” he said. While Vancouver property price increases have been relatively slower, however, the Canada Mortgage and Housing Corporation (CMHC) reported yesterday that housing Vancouver property starts took a big jump last month. There was a 25 per cent increase in Vancouver homes going up than in July 2007, attributed heavily to higher density, multiple-family projects. By seizing this window of opportunity to buy a new Vancouver home in a master planned community built with ParkLane’s legendary quality, you’ll not only enjoy and appreciate the wonderful neighbourhoods, but you’ll have the peace of mind of knowing that the lasting value is assured in your real estate investment. One of the largest and most recognized home builders in Western Canada, ParkLane Homes has built over 5,500 homes in beautiful master planned communities throughout the Greater Vancouver area and has won more then 250 provincial and national awards for their efforts. For more information, please visit www.parklane.com. According to the Vancouver 24Hours newspaper: The owner of a West End rental apartment building in downtown Vancouver has no reservations about raising tenants’ rent by up to 73 per cnet. Jason Gordon, of Gordon Nelson Investments, took ownership of the 12 suite Seafield Apartment building in the Vancouver West End rental apartment market at 1436 Pendrell Street last year and says the proposed rent increases is fair. “It’s a competitive business and the West End is extremely desirable,” Gordon told 24Hours Vancouver. “This group [of tenants] pays 50 per cent of what’s on the market. I think they should pay what everyone else is.” But the residents at Seafield Apartment Vancouver West End rental suites of the ight knit building have opposed the rent hikes, and have enlisted the likes of Gregor Robertson, when he was a mayoral candidate, and new Vancouver-Burrard MLA Spencer Herbert to champion their cause. “The Residential Tenancy Act is completely out of balance,” Herbert said outside the West End Seafield Apartments for rent yesterday. “The only reason the landlords are seeking these increases is gree.” Herbert is lobbying to eradicate the geographic area clause in the Residential Tenancy Act, which allows landlords to raise below market rents up to the same levels of neighbouring units. “B.C. is the only province in Canada that allows this to happen,” Herbert claims. In the meantime, the residents of the downtown Vancouver rental building at Seafield Apartments West End will be making their case to the Residential Tenancy Branch in March and they’re ready to take their fight to court. “There is very little else that we can do,” said David Bronstein, whose rent for a one bedroom apartment at Seafield Apartments West End Vancouver rental suites will jump from $1,100 to $1,880. By Matt. The average rental apartment vacancy rate in Canada’s thirty four largest major centres has decreased to 2.2 per cent from 2.6 per cnet a year earlier in 2007, according to the Rental Market Survey by Canada Mortgage and Housing Corporation. Metro Vancouver rental market, at 0.5 per cnet has one of the lowest vacancy rates in the country, with Kelowna leading the way at 0.3 per cent. The annual CMHC survey found that the rental vacancy rate for Greater Vancouver condominium rentals is even lower than the conventional apartment market. Greater Vancouver vacancy rates for rental condominium apartments were below one per cent in four of the ten centres surveyed. Rental condominium vacancy rates were among the “lowest in Metro Vancouver.” The highest average monthly rents for two bedroom condominium apartments were in Troonto ($1,625), Vancouver ($1,507) and Calgary ($1,293). Tapestry Retirement Communities offer the very best in seniors living. Enjoy sumptuous choices in dining, housekeeping, health and wellness, transportation, assisted living services and more. It’s five star retirement at Tapestry retirement seniors living tailored to your idea of fun. Tapestry seniors living communities are developed by Concert and operated by Leisure Care by Concert. www.DiscoverTapestry.com. Making a difference for fa milies in BC real estate. If your household income is $35,000 or less, you may be eligible to receive cash assistance with your monthly rent payments in the province of BC. Effective April 2008, the Province has increased the maximum household income level for the BC Rental Assistance Program for low-income working families. To qualify for the Rental Assistance Program of BC, families must have at least one dependent child have lived in B.C. for the past 12 months and have spend part of the last year working. For more information about the BC Rental Assistance Program, call 604.433.2218 in the Lower Mainland or 1.800.257.7756 elsewhere in B.C. You can also visit www.bchousing.org as Housing Matters. Apartment vacancies across Canada’s major cities fell to 2.6 per cent in April form 2.8 per cent in the same month a year ago, according to Canada Mortgage and Housing Corp. “The Canadian economy remains very supportive of strong demand for both ownership and rental housing thnaks to solid job creation and healthy income gains,” CMHC chief economist Bob Dugan said. “High levels of immigration and the increasing gap between the cost of home ownership and renting continue to drive rental demand in 2008. These factors have put downward pressure on vacancy rates over the past year.” The vacancy rate in Metro Vancouver is in the 1 per cent range in most municipalities. Apartment vacancies in Canada’s major cities fell in April as solid employment numbers and increasing incomes pushed demand higher. About half of BC’s cities record either a decline in the vacancy rate or no change compared to one year ago. The average Vancouver rental apartments vacancy rate in 35 major centres fell to 2.6 per cent in April from 2.8 per cent in the same month a year ago, according to Canada Mortgage and Housing Corp. “The Canadian economy remains very supportive of strong demand for both Vancovuer ownership and rental housing thanks to both solid job creation and healthy income gains,” CMHC chief economist Bob Dugan said Thursday in a statement. “High levels of immigration and the increasing gap between the cost of home ownserhip and renting continue to drive the rental demand in 2008.” The lowest vacancy rates were to be found in Victoria (0.3 per cent), Kelowna, B.C. (0.3 per cnt), Sudbury, Ont., (0.7 per cnt), Vancouver (0.9 per cent) and Saskatoon (0.9 per cent). Rising migration and the high cost of Vancouver home ownership in British Columbia has pushed apartment vacancies there below one per cent in all major centres save Abbotsford. The province’s overall rate stood at 1.1 per cent in April. The Western provinces typically saw the lowest vacancy rates in the country, with Manitoba at one per cent, Saskatchewan at 1.2 per cent. Alberta real estate logged an increase in vacancies to 2.9 per cent from 0.9 per cent in the April a year earlier “mainly due to reduced migration into the province and increased supply of rented condominiums and basement apartments. Vacancies in Calgary increased to 2 per cent from 0.5 per cent and in Edmonton to 3.4 per cent from 1.1 per cent. The highest apartment vacancy rates were seen in Windsor, Ont (13.2 per cent), Moncton (5.5 per cent) and Hamilton (4.7 per cent). An important column published in the 24 Hrs newspaper in Vancouver by Siobhan R. though our society pays homeage to the God of home ownership, it’s interesting to note how many people still rent their homes – 57 per cent of households in Vancouver have landlords. Even if, as predicted, Vancouver house prices do level off, asking prices have reached altitudes that prohibit many people from buying a home in Vancouver – a situation that isn’t likely to change for some time in the Lower Mainland. Given all this, and the fact that one third of householders in B.C. rent, it’s infuriating that we have a provincial government that has actually made Vancouver renters more vulnerable to eviction and rent increases. When, in 2004, the B.C. government weakened the Residential Tenancy Act (RTA), it did this knowingly and deliberately. Changes to the B.C. Residential Tenancy Act (RTA) allowed annual rent increases that tenants no longer had the right to dispute, even if repairs hadn’t been done. Don’t take my word though. Just last week, on the City of Vancouver website, I found a letter from Mayor Sam Sullivan to Premier Gordon Campbell (written May 14) urging the Premier to better protect Vancouver tenants and renters in the Lower Mainland area by amending the landlord tenant law of BC. According to the letter, some landlords in B.C. use provisions in the B.C. RTA to increase rents far in excess of what is allowed. They accomplish this by evicting Vancouver tenants on the pretext that major renovations need to be done. This allows them to create a new tenancy at a significantly higher rent. The major’s letter refers to cases of “mass” eviction reported in the Vancouver media but also admits the city has no idea how many tenants of individual or smaller rental units suffer the same fate. The mayor urges the premier to tighten up the rules around these so-called “renovations.” He also suggests that Vancouver tenants who do have to move are given 90 days notice instead of 60 days, too short a time under the current scarcity of rental Vancouver accommodations to find somewhere new. Sullivan’s letter explains that some landlords coerce tenants, who often feel like they don’t have much choice, into signing tenancy agreements that end at a specific date rather than ongoing tenancies with no definite end. The former type allows landlords in B.C. to raise rents as uch as they wish once the end date comes – even if the tenant in Vancouver remains the same. As if all this isn’t bad enough, in 2004, the B.C. government closed the Vancouver branch of the Residential Tenancy Branch, a service that assists with landlord tenant disputes in Greater Vancouver. Now there is only one such office to serve the entire Lower Mainland. Though the City of Vancouver itself has much to do in terms of housing – its letter to the Premier spells out quite clearly that the B.C. government must amend the B.C. Residential Tenancy Act in order to protect B.C.’s increasingly vulnerable renters, with one third of British Columbians renting their homes. I couldn’t agree more. High supply makes for home buyers’ market according to Deneka of the North Shore News. After years of favourable conditions for home sellers, the North Shore real estate market appears to be giving buyers the upper hand, according to a new report issued by the Real Estate Board of Greater Vancouver. Multiple Listing Service figures released by the board last week show that sales for both North Vancouver and West Vancouver real estate housing in June were down from the same time last year, while listings were up. The percentage of sales-to-listings for detached homes in North Vancouver last month was 28 per cent, while in June 2007 that figure stood at 93 per cent. In West Vancouver housing market, the percentage was 29 per cent last month and 64 per cent for the same time last year. For several months now there have been signs of moderation in the British Columbia home market as demand has eased off from the highs of last year, explained Cameron Muir, chief economist with the B.C. Real Estate Association. The North and West Vancouver housing real estate market has been rebalancing itself from the high demand state, and now there is actually higher supply than demand, meaning the property market is now favourable towards homebuyers. “More balance between demand and supply means less upward pressure on home prices. It also reduces the chance of multiple bids on the same house in North or West Vancouver property, giving homebuyers more time to investigate properties thoroughly before purchasing,” said Muir in a recent press release. “This is probably a long-anticipated, realignment of the market,” he added in an interview. The B.C. Real Estate Association forecasts that residential sales for the Greater Vancouver area will fall by eight per cent his year, from 38,978 unit sales last year to 25,900 for 2008. They anticipate that in 2009 sales will again drop by three per cent for the area to 34,800 sales. Yet despite the fact that salese are dropping, home prices are not, explained David Watt, president of the Greater Vancouver Real Estate Board. According to the Board’s recent report, overall prices in the Greater Vancouver area were up 7.3 per cent in June compared to the same time last year, bringing the average residential property selling price to $564,982 last month. In North Vancouver real estate housing market, since June 2007, the benchmark price of a detached home increased by 4.7 pe cent to $893,639, the average attached home price increased by 8.1 per cent to $608,225 and the average condo price rose by 4.4 per cent to $386,212. In West Vancouver housing real estate market, over the past year, detached home prices have risen by 0.9 per cent to an average of $1,428,139 while the average attached home price increased by 4.9 per cent to $719,783 and the average condo selling price was up by 6.9 per cent to $711,268. BCREA expects the rpcie increase will continue, but at a slower pace than the double digit increases seen over the past several years. According to their spring 2008 housing forecast, the association predicts that overall MLS selling prices for the Greater Vancouver area will rise by nine per cent this year to an average of $621,000 and will increase by an additional five per cent next year to $651,000. Lower year-over-year increases are a result of the rebalancing of the real estate market, said Muir. With more homes on the market in North and West Vancouver housing market, sellers need to be more educated and need to price their homes at reasonable prices so that their houses will sell. Homes that have been on the market for some time and that have been listed in anticipation of continued rising prices may have to re-evaluate their pricing, he said. “Although housing prices, on a year-over-year comparison, continue to show single-digit percentage increases, we are beginning to see more price reductions in properties listed on the market today,” Watt said in the press release. However, lower listing prices do not mean that home prices are decreasing, he explained in the interview. “It’s not even that prices have gone down, it’s just that they aren’t marked up,” he said. Here are some updated North Vancouver MIRA resales condos in Lower Lonsdale re-sale real estate market at Mira on the Park townhomes. With the North Vancouver housing market and West Vancouver real estate taking a downturn south of the border, many Canadians have grown wary that Canada will suffer the same fate as the United States, but comparing the two industries is a far stretch, said Gregory Klump, chief economist with the Canadian Real Estate Association. The U.S. housing market experienced extremely rapid price increases and poor lending practises which has now resulted in price corrections, he said. In Canada, on the other hand, price increases of the magnitude seen down south did not happen and Canadian lending always remained conservative, so a real estate market crash in Canada is not likely, he said. “We don’t see a crash on the horizon, we see it returning to normal levels,” he said. Some areas in Canada, however, have seen falling sales prices, according to a summer 2008 report issued by BMO Capital Markets. In Calgary, prices are down 2.4 per cent since last year and in Edmonton, prices have dropped by 4.8 per cent. Prices are also expected to drop in Saskatchewan, said Michael Gregory, senior economist with BMO Capital Markets. British Columbia, on the other hand, did not see the major price mark-ups seen in Alberta and Saskatchewan, and so B.C. remains in good shape, he said. “the rate of price increases will slow, but it (B.C.) still has a pretty strong economy,” he said, adding that he predicts, “a soft landing, rather than a collapse.” A report issued by Landcor Data Corporation at the end of last month shows that some areas in British Columbia are faring better than others. In 2001, sales values in the province totaled $19 billion; last year they totaled $62 billion and at the end of this year, the rate is expected to be over $61 billion, explained Rudy Nielsen, president of Landcor Data Corporation. “Things are cooling but things aren’t bad,” he said. “Overall, I look at B.C. as very positive,” he added, explaining that the province has great natural resources, good tourism and a high quality of life. Even in places where prices may decrease, he says homeowners just need to wait it out because prices will again increase. He said he expects the cooling period to only last two or three quarters before turning around next year sometime. As for the North Shore real estate market specifically, Watt said he believes it is secure and, if anything, real estate in North and West Vancouver will become more desirable as gas prices rise and people look at living in areas that are closer to the city core. An article written by Jeff for Black Press of the North Shore Outlook Newspaper. Real estate prices have begun to slip in some parts of the Lower Mainland. The cooling trend comes as realtors report high numbers of prospective sellers. “Real estate is cyclical and the numbers show that we’ve entered a buyer’s cycle,” said Kelvin Neufeld, president of the Fraser Valley Real Estate Board. Prices are still up by at least single digits year-over-year, but the stats indicate most cities saw prices peak sometime int eh second half of 2007 or early in 2008 and some areas have since been trending lower. In the Fraser Valley, the typical single family house fell by 0.3 per cent in price in the past 3 months, while apartments were up 0.4 per cent and townhouses rose 1.6 per cent. The Greater Vancouver Real Estate Board reported its benchmark house price fell about $6,000 in June to $765,000, but that’s still up seven per cent from a year ago. Condo and townhouse prices are also down marginally in the past month. Detached houses in White Rock, Port Coquitlam and Burnaby fell more than $20,000 in price since April, the stats show. The biggest drop so far has been in West Vancouver, where detached houses fell more than 10 per cent in price in the last two months, from just under $1.6 million to $1.43 million. West Van house prices there are now up only 0.9 per cent year-over-year. “We’re experiencing a soft landing coming off the strongest and longest real estate cycle in our history,” Neufeld said. Sales are down sharply from a year ago across the region. New listings, meanwhile, are up and the number of unsold homes is rising. Realtors say sellers are in some cases having to moderate their expectations of how much they will get for their properties. We are beginning to see more price reductions in properties listed on the market today,” said Greater Vancouver Real Estate Board president David Watt. Metro Vancouver Housing Market Moderates in 2008 and 2009, says the current release by Canada Mortgage & Housing Corporation. Strong economic and demographic fundamentals, steady job growth and population growth, along with continuing low mortgage rates – will support demand for new and resale Vancouver housing. However, softening consumer sentiment and high mortgage carrying costs will temper the effects of these positive factors, dampening home buyer demand in Metro Vancouver. New Vancouver Home Construction and MLS Sales Will Dip Slightly, but say high from a historical perspective for the remainder of the year and through 2009. Vancouver home prices will rise, but at a slower pace than in the past few years, as an increasing supply of both new and existing homes for sale give Vancouver home buyers more choice and more time to make their purchasing decision. MLS Sales in Metro Vancouver Real Estate Will Come Down off the Near-Record High Reached in 2007, but stay well above the ten year average of 31,000. Strong Vancouver home buyer demand, fuelled by job growth, and a steady flow of people moving to the region will keep sales brisk. However, waning consumer confidence and high mortgage carrying costs will constrain Vancouver home sales. MLS sales will dip eight per cent to 36,000 units in 2008, and a further three per cent in 2009 as mortgage rates start to creep up. The main factors tempering Vancouver home buyer demand will be high home prices and softening consumer sentiment. With the average resale home price in Metro Vancouver at more than $600,000 and still rising, some potential homebuyers will opt to delay their purchase. Some low equity and first time home buyers could find it difficult to negotiate a mortgage with achievable monthly carrying costs, in spit of low mortgage rates. At present active listings sold is around 25%, which is the amount that divides a Vancouver sellers market to a balanced market. The Supply of Vancouver Resale Homes on the real estate market will grow as homeowners look to capitalize on the home equity build up resulting from four straight years of double digit home price increases. The decision to sell may take an added urgency in light of the Vancouver housing marketing downturn int eh US. In the first quarter of 2008, the average number of active MLS listings for sale in Metro Vancouver increased nine per cent p=compared to the same period last year; with the supply condominiums for sale increasing more than other home types. At the end of the first quarter there was a five month supply of Vancouver homes on the real estate market, up from four months. Over the last 10 years, the highest supply was in 1995 when it was at 12 months. Home Building Will Be Robust: new home construction in the Vancouver real estate area will be near historic highs this year and next, but will dip slightly compared to last year’s swift pace. Some moderation in new Vancouver home building will be due to an easing in demand for new pre-construction homes as homebuyers are able to meet their housing needs int eh better supplied resale market. Secondly, tightening credit conditions for Vancouver real estate developers may make it more difficult to secure financing for new multi-family projects. Home starts will decline 8% this year, and a further 3% next. Two thirds of homes built last year were condo projects. Condominiums And Rental Outlook Positive – Vancouver Resale Condo Market – existing Vancouver condo sales will moderate slightly, but stay high for the remainder of 2008 and through 2009. Demand for condominiums will be sustained by the strong fundamentals mentioned above and will also be bolstered by continuing low mortgage rates and the lower price of condo homes, compared to detached. The average MLS price of a condo in Metro Vancouver is now more than $400,000 below the average price of a house. Expect the Supply of Condo Listings To Trend Up over the next 18 months as demand moderates. In the first quarter of 2008, the average number of active MLS condo listings in Vancouver for sale increased 16% compared to the same period last year. By end of first quarter, the supply of condos on the Vancouver real estate market increased to a 4 month supply, up from 3 months a year earlier. This signals demand and supply moving towards equilibrium. New and Existing Condo Prices in Vancouver Will Continue to Rise, but at a slower pace in the past few years. Price growth will slow into the single digit range this year with 8% appreciation this year and 5% next. New Vancouver Condo Construction absorptions of new condos have been closely tracking completions for the past year, with virtually all (98%) units absorbed upon completion. An estimated one half of units underway are pre-sold and the supply of completed, unsold new Vancouver units is growing slowly but remains at less than one third of the 10 year average level. Unsold supply is located mainly in Maple Ridge/Pitt Meadows and Surrey. Vancouver has very few unsold units. High starts and longer completion times have pushed the number of condos under construction to record highs, with over 20,000 units underway at he end of March 2008. At the current absorption rate of 600 condos per month, there is a 33 month supply of units coming on stream over the next 2-3 years. 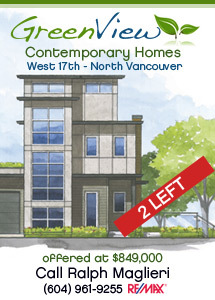 When Vancouver pre-sales condos is taken into account the number of months supply is halved to 16 months. The supply of unsold new condo Vancouver units will edge up as condo demand moderates from the buying frenzy of the past few years and as more resale condo listings become available through the remainder of 2008 and in 2009. Speculative and Investor Activity speculation in Vancouver’s condo markets has been trending down over the past year and will continue to edge down as the pace of price growth slows this year and next. In 2007 almost one quarter of condo units in the Metro Vancouver were owned by real estate investors, a marginal dip from 5 years ago. Investor presence is higher in the downtown core, where 45% of condos are investor owned. The more expensive areas of downtown (Coal Harbour and False Creek North) have a slightly lower proportion of Vancouver investor units compared with less expensive areas. Vancouver Economy will support housing demand solid local economic conditions in Metro Vancouver will support demand for housing this year and next. Economic growth of 3% or better is forecast for the region through 2009 with residential and non residential construction, as well as wholesale and retail trade growth. Vancouver home building will stay at high levels with non-residential construction, including Olympic related projects and non related projects, such as the Vancouver Convention Centre, ongoing work on the Vancouver International Airport and building renovations at UBC, will keep Vancouver’s builders busy. Consumer spending, the largest component of domestic demand, will be spurred on by a growing population job and income growth. The unemployment rate is at 20 year low of 4% with 36,000 jobs added in the Metro Vancouver region last year. Strong job growth will continue and will support demand for homeownership and rental housing. Vancouver’s healthy job market and growing international reputation as a clean, liveable city will draw people to the region from other provinces and from abroad. Greater Vancouver will gain more than 30,000 people through migration in each of the coming years. International migrants will account for most of this Vancouver growth, but the Vancouver region will continue to attract people from other provinces who are looking for jobs. This will sustain housing demand. On the downside, one of the main factors limiting homebuyer Vancouver demand will be softening consumer sentiment. Consumer confidence is based on the US economic and housing slowdown, the sub-prime crises in the US and the economic slowdown in central Canada as well, the high Canadian dollar and low lumber prices in BC. While Metro Vancouver economy is diverse and somewhat insulated from these economic developments, downside risks to the economic outlook remain. Mortgage rates will remain relatively flat.